Elvis gathered a large crowd when he left from Penn Station. Photographer Alfred Wertheimer recalls uttering that very question in early 1956. A publicist from RCA Victor Records had contacted him, asking if he was available to photograph a young singer named Elvis Presley. Elvis in his Pullman Bedroom on the train from New York. Elvis started his remarkable career in 1954, and two years later had his first number-one hit, “Heartbreak Hotel.” RCA released the record in January 1956. After a ratings-grabbing appearance on ‘The Steve Allen Show’ and a recording session in New York City that produced ‘Hound Dog’ and ‘Don’t Be Cruel,’ Elvis returned to Memphis on July 3rd, 1956 by train for a concert at Russwood Park. Elvis’ mother encouraged him to take trains as she had a strong fear of flying. 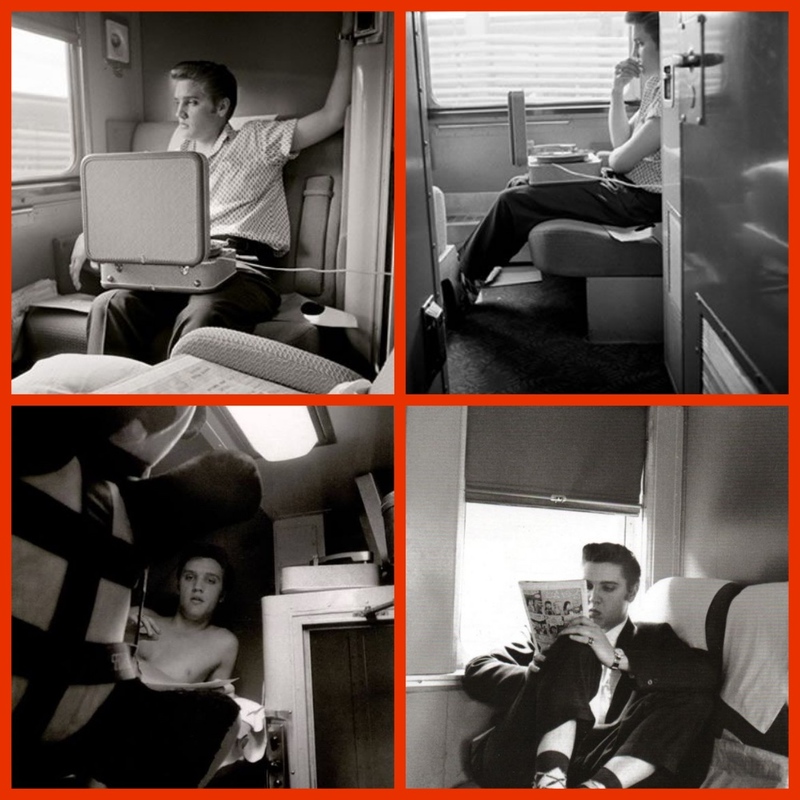 Wertheimer accompanied Elvis on the train trip from New York to Memphis. 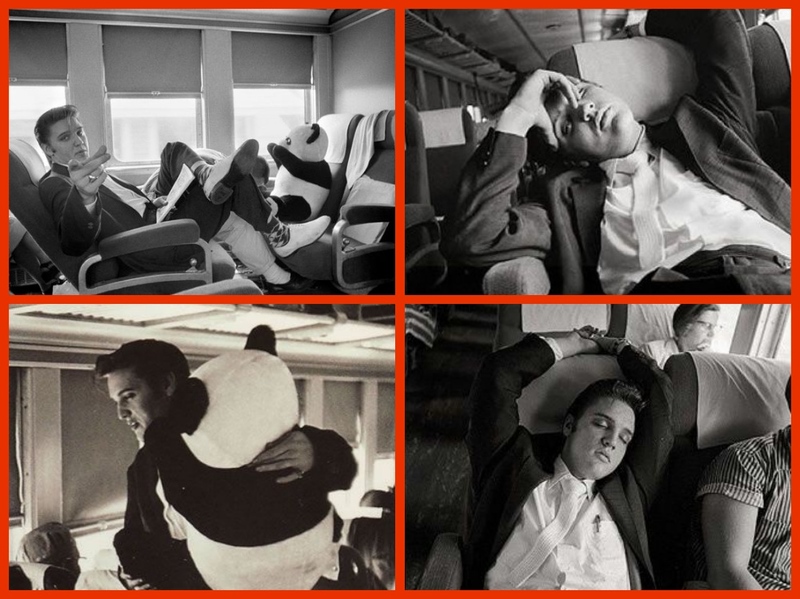 The photographs Wertheimer took of the early Elvis remain some of the most remarkable and intimate photographs ever made of any major celebrity, in any era. 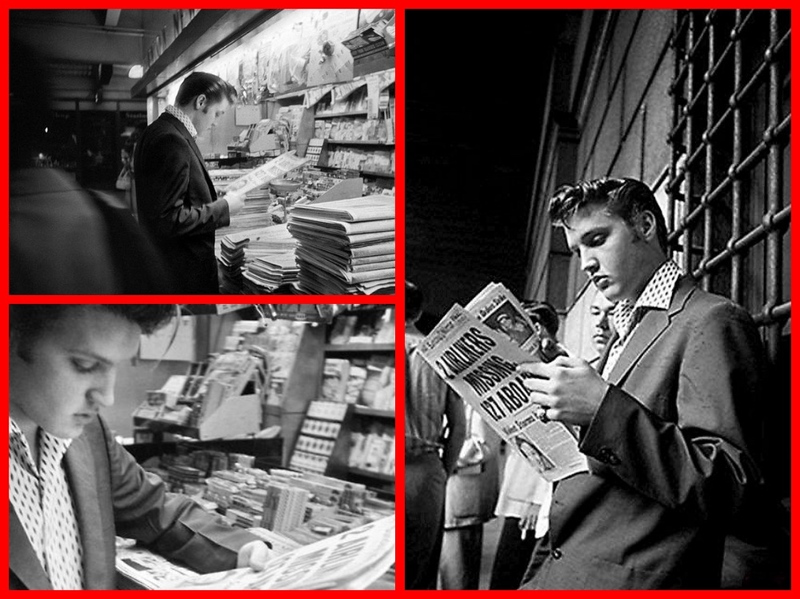 Elvis at a Penn Station newsstand. 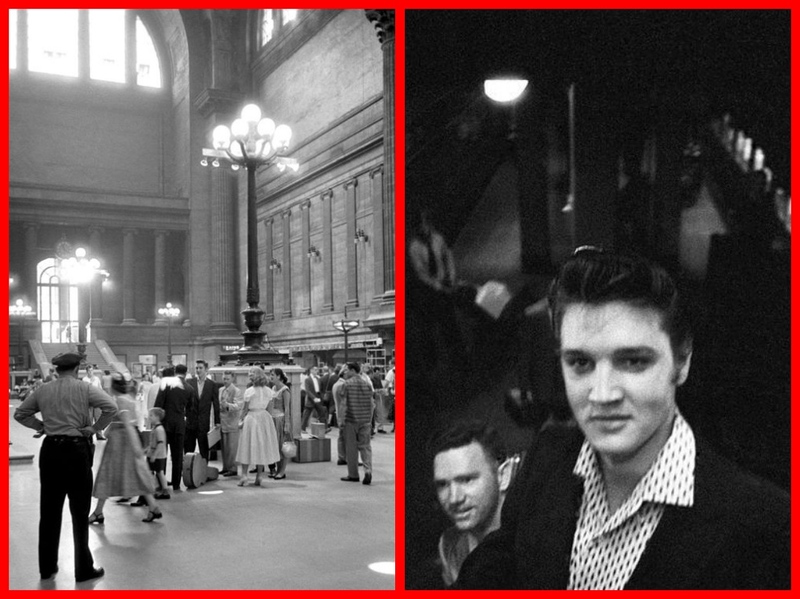 In the morning, Elvis repaired to Penn Station to start a 27-hour train ride home to Memphis. At Penn Station he ran into fellow singer Gene Vincent, congratulating Vincent on the success of his hit ‘Be-Bop-A-Lula’! Elvis traveled coach for the day trip to Memphis. He had a large Panda Bear doll with him and shared it with passengers. He was on his way to becoming a very star. But a few months later, it appears, Elvis was still able to travel by train without getting mobbed. To be continued in Part 2 of Elvis heads to Memphis from New York. Elvis Presley, Trains, Streamliners, the 1950s, Retro, Pullman, Michael Grace, Social History. Next: The SS MORRO CASTLE – FIRE AT SEA – 137 DEAD!